Dr. D. Brock Lynn is the top dentist in Dallas, practicing both general as well as cosmetic dentistry. He has over 30 years experience in dentistry. 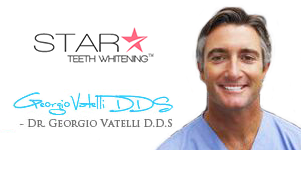 He received his Doctorate in Dental Surgery from the Baylor College of Dentistry. He launched his private practice in the early 1980, and since then he has always been known as the most proficient dentist in Dallas. His practice is called Lynn Dental Care Dallas. Dr. Lynn has also earned the reputation of being an active member of several dental organizations and particularly the Dallas County Dental Society. With over three decades experience in the field of cosmetic dentistry, Dr. Lynn is the top dentist in Dallas who has been working and placing wonderful porcelain veneers to craft beautiful and naturally luminous smiles. People unhappy with the color, shape or size of teeth can now refer to Lynn Dental Care Dallas for best solutions. Teeth whitening is a common procedure performed at the Lynn Dental Care Dallas. Dr. Lynn offers two exclusive method of teeth whitening – Opalescence Xtra Boost Whitening System and Ultra Dent Teeth Whitening Method. Candidates can choose any of these methods according to their requirement. However, Dr. Lynn would check the overall oral health and recommend the suitable method. A smile makeover is a comprehensive facility that includes various techniques. At the Lynn Dental Care Dallas, you can expect dental crowns, veneers, dental bonding, Invisalign and teeth whitening to be used as a part of the smile makeover procedure. Dr. Lynn will perform his best to give you the desired smile you have wanted to wear. Invisalign is one of the revolutionary methods to straighten teeth. Instead of metal brackets, wires of bands, clear braces called Invisalign are used at Lynn Dental Care Dallas to enhance the smiles of candidates. Dr. Lynn will discuss with a candidate, check oral health and finally recommend Invisalign and its use. Mouth reconstruction is an extensive treatment, designed for restoring the health as well as functions of mouth. This method encompasses comprehensive treatment, which may include periodontal care, none grafting, inlays/onlays, dental implants, white fillings, TMJ and all-ceramic crowns. Placing dental crowns is a part of cosmetic and restorative dentistry. It is used to restore any worn or broken tooth.